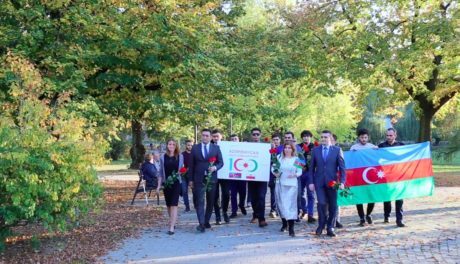 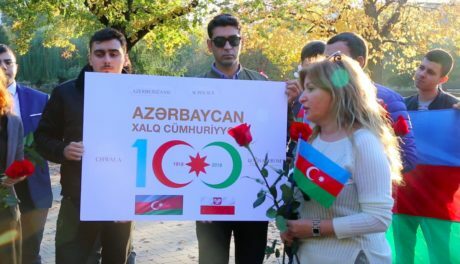 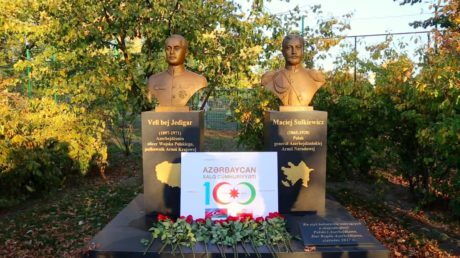 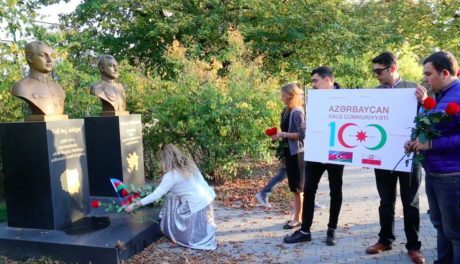 A series of events dedicated to the 100th anniversary of the Azerbaijan Democratic Republicwere held in Warsaw, Poland, on October 15. 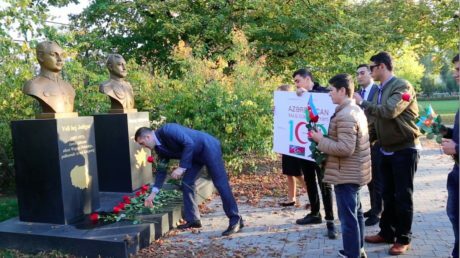 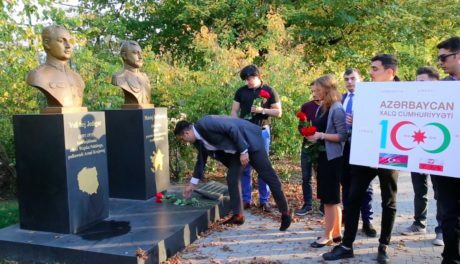 Members of the Polish Union of Azerbaijanis, representatives of the Azerbaijani diaspora in Poland and Polish youth visited the monument erected in memory of the militants of Azerbaijan Democratic Republic in Warsaw, Lieutenant General Machei Suleyman bey Sulkevich and Colonel Vali bey Yadigar. 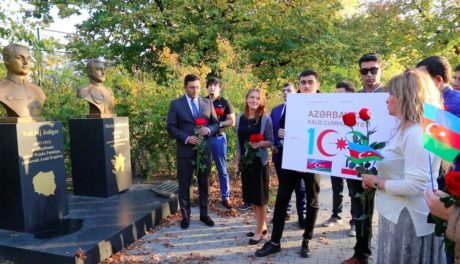 Speaking before the monument, which has become a symbol of Azerbaijan-Poland relations, the youth voiced peace and friendship messages to the Polish society and noted the importance of cooperation between the two countries. 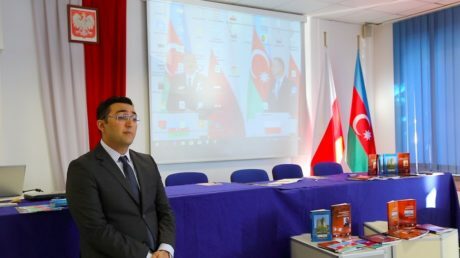 Then the forum on “The role of young people in the relations between Azerbaijan and Poland, historical, cultural and strategic partnership”dedicated to the 100th anniversary of the Azerbaijan Democratic Republic was held in one of the prestigious universities of Poland. 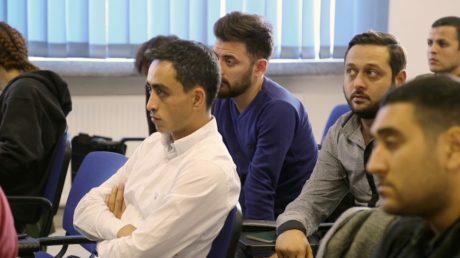 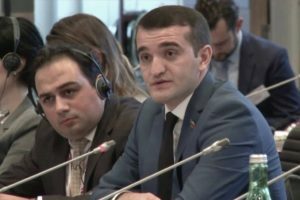 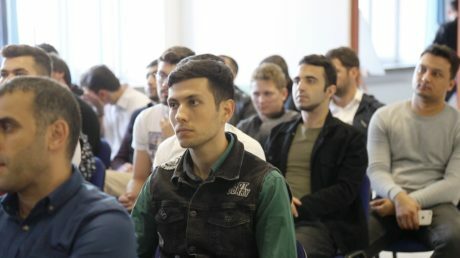 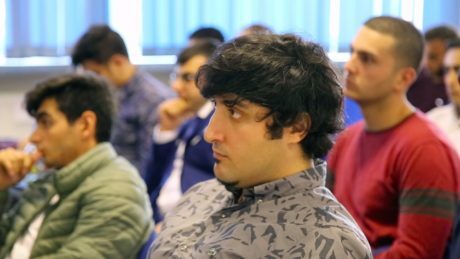 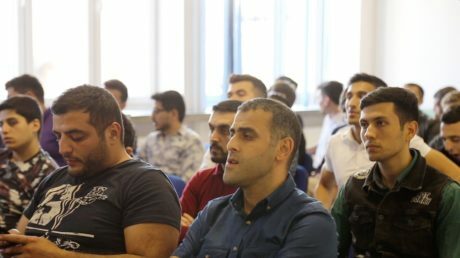 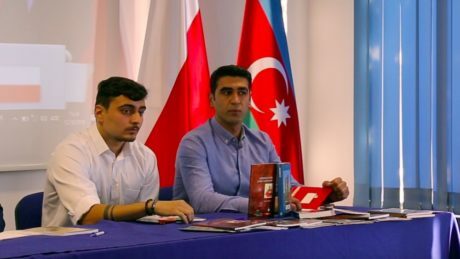 The forum, organized by the Polish Union of Azerbaijanis, was attended by Azerbaijani youth living in Poland and surrounding countries, members of the Azerbaijani diaspora in Poland, as well as representatives of the Polish society and youth. Initially, national anthems of Poland and Azerbaijan were performed.Opening the forum, chairman of the Polish Union of Azerbaijanis Mr. Javid Zeynalovspoke about the mutual relations between the two countries and informed about the work carried out in the direction of strengthening the Azerbaijani diaspora in Poland. 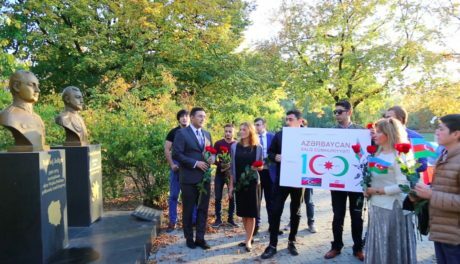 Then a short film on the English language dedicated to the 100th anniversary of the Azerbaijan Democratic Republic was demonstrated. 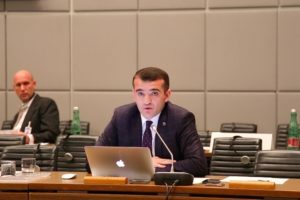 Speaking at the forum, Dr. Ahmad Shahidov, head of the Azerbaijan Institute for Democracy and Human Rights, informed about the events held in connection with the “Year of the Republic” both in Azerbaijan and around the world, after President Ilham Aliyev’s decree on the 100th anniversary of the People’s Republic of Azerbaijan and said that the events will be continued until the end of the year. 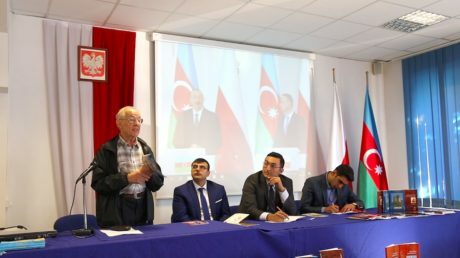 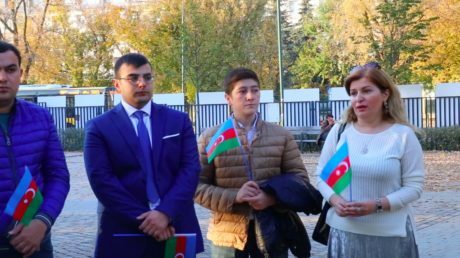 Human Rights Defender noted the importance of the Poland and polish people in the history of the Republic of Azerbaijan. 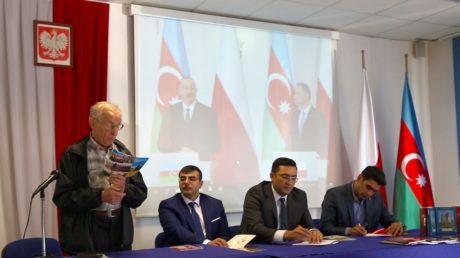 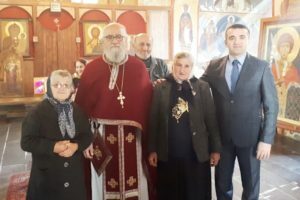 He said that more than a thousand Polish people live in Azerbaijan today and that they have escaped from the German fascism during the World War I and came to Azerbaijan and subsequently left unfounded traces in the history of the two countries. 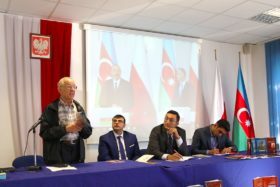 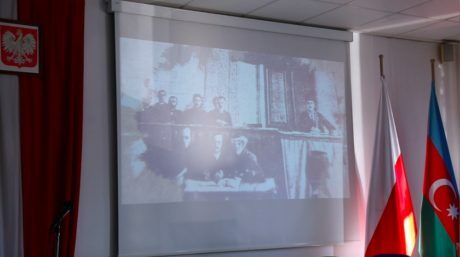 Noting that Mstislav Rastropovich, Suleyman bey Sulkevich, Mikhail Abramovich, Iosif Goslavski, Alexander Makovelskyand other Azerbaijani Poles are symbols of friendship and brotherhood relations between the two countries, Dr. Ahmad Shahidov said that Poland and Azerbaijan are strategic partners today and that there are important links between the two countries in various spheres of life. 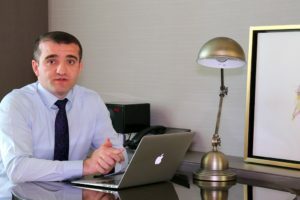 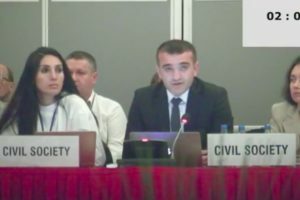 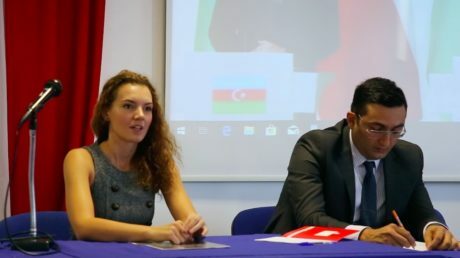 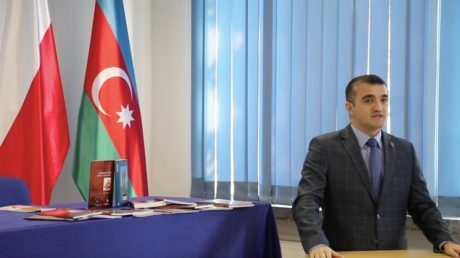 Later, the human rights defender told about the Nagorno-Karabakh conflict facing Azerbaijan and noted that Azerbaijanis living abroad, especially young people, have important duties, and that the Azerbaijani diaspora should continue to fight for the national interests of Azerbaijan at all points of the world.